The following chart contains online 􀁕􀁈􀁖􀁒􀁘􀁕􀁆􀁈􀁖􀀃􀁉􀁒􀁕􀀃􀁖􀁗􀁘􀁇􀁈􀁑􀁗􀁖􀀃􀁖􀁓􀁈aimed at providing assistance with preparation for the SAT and ACT college entrance exams. All of the resources listed are free for student use and can be accessed from school or home. Contained within these sites are study guides, practice tests, tutorials, detailed lessons, videos, and college planning tools. This is in no way 􀁄􀀃􀁇􀁈􀃀􀁑􀁌􀁗􀁌􀁙􀁈􀀃􀁏􀁌􀁖􀁗􀀃􀁒􀁉􀀃􀁕􀁈􀁖􀁒􀁘􀁕􀁆􀁈􀁖􀀃􀁉􀁒􀁕􀀃􀁗􀁋􀁈􀀃and ACT exams, but should serve as a strong starting point for students seeking additional assistance with preparation for these important assessments. Provides free tutoring and skills-building aligned to the SAT and ACT. Tutors and students communicate in real time in an online classroom by typing, drawing, and marking-up lessons and web content. This online test preparation resource provides practice tests and quizzes, lessons in each area of the tests, and online tutors. Covering both the SAT and ACT assessments, this site provides learning platforms as videos, text guides, and problem/solutions. 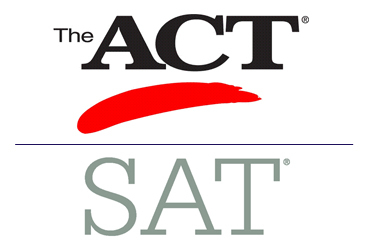 The ACT section covers English, mathematics, reading, science, writing, and an overview of the assessment. The SAT section covers mathematics, critical reading, writing, and an overview. Free resource that provides students with SAT and ACT questions and monitors their progress. By creating an account students can access a customized course that includes user-friendly tutorials, practice sessions that dynamically adapt to each student’s ability level, and a vocabulary builder. A college planning tool is also available on the site. Provides online practice test, flashcards for studying, and comprehensive study guides for both the SAT and ACT/ The site also gives overview information as well as what to expect on testing day. Site contains over 300 practice tests and courses that includes SAT and ACT. In addition to dozens of ebooks containing valuable study material, the site also features information on over 4,000 accredited universities, a scholarship search, and a resume builder tool.